All paintings in this gallery are available for purchase. Please email me if you are interested. Oil on panel, 8” x 10”. Two rights-of-refusal on it at the moment. Oil on panel, 12’ x 16”. Wasted in more ways than one! When I saw these tulips at the local grocery store, I had to have them. Spectacular pink! In the style of Luis Melendez. Oil on canvas, 11" X 14". Currently in a gilded frame. In the style of Luis Melendez. Oil on panel, 10" x 12". Private collection. Giclée prints on canvas are available. $250. framed. $50 unframed. 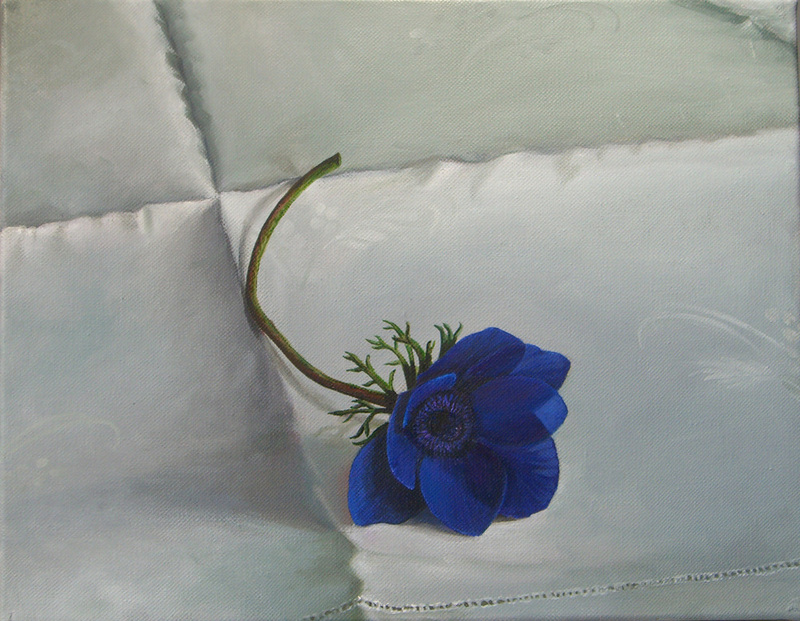 Along with the white cloth in this, the fourth canvas in this series, I have placed an anemone. They were so deep blue this spring. In the cloth I was working with creases instead of folds and with the flower, the transparency of the petals. This is the third canvas in the series depicting the white tablecloth. I love the impact of the very ripe tomato. And I had fun working with the glass, making it transparent and reflective. Finally I have another parking garage painting in the ongoing series. I think it's the ninth one! I was most intrigued by the convex mirror used to view the traffic before exiting. This one was fun to paint. Oil on canvas. 28" x 22". A nocturne. This sign shows a different view of the parking garage at the Fitzgerald, from the Jones Falls Expressway in Baltimore, Maryland. Another view of a garage in Denver, this one is located at Tremont and 15th Streets. The parking signs in Denver are very distinctive. Oil on canvas, 24" x 18". Fourth in the series of signs. Oil on canvas, 24" x 18". Modern realism. First place winner at the Fall Members' Show at the MFA in Annapolis, October 2010. Third in the series of signs, this garage is next to the Catholic Cathedral in Louisville, Kentucky. The building had been freshly painted, so there is no dirty cement! Oil on Canvas, 24" x 12". Oil on canvas, 24"x30". A local landmark, Brian Boru Irish Pub. I was working to portray lighted neon. Most interesting is that the neon tubes are green and the insides of the letters are white. To make the sign glow, they have to be painted in opposition.